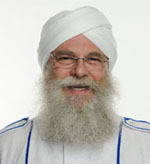 Yogi Akal (also known as Agia Akal Singh Khalsa) is an expert in working with the total being, both personally and professionally. An accomplished Yogi, Sikh minister, social commentator and widely sought after consultant, counsellor and teacher, he is also a dynamic and compelling speaker, having conducted hundreds of programs throughout the United States, Europe, Canada, Latin America, and the Caribbean. Below is a guide to numerology and the inside scoop on Yogi Akal! 1. Which are the steps a common person should follow to live and to achieve the techniques of Yogic Numerology? YOGI REPLIES: In the 21st century, fate is no longer the purpose of life. Destiny is now not only achievable for any person, couple, country, or corporation, but more importantly it is changeable. In fact that is the new purpose of all life – to progress beyond destiny, to transform and enlighten. The most important step is to acknowledge this capability and strengthen one’s nerves to deal with change and develop excellence. The techniques of Numerology are numerous. For each number, and combination of numbers there is a technology for achieving one’s potential in love, life and business. For example, if you are born in June, your immune system will need attention. The best technique for that is Yogic breathing. Try this: breathe slowly through your nose and out through your mouth, then in through your mouth and out through your nose. Very slowly. While doing that, close your eyes almost completely, looking down slightly towards the tip of your nose as if squinting. After a minute or three your energy and concentration will change, and your self-protection will be increased. 2. What kind of matches are we supposed to do if we want to use YogicNumerology for our love life. Once we have his birthday number, how does it work? How are we supposed to match his number with ours? YOGI REPLIES: Love is intended for all beings. It is necessary and plentiful. The question is how do you choose the best people to share it with over the long term. Even though all experiences are good lessons, bad choices can be very expensive. 1) Timing is everything. With Yogic Numerology, you can examine the cycle of your life and your potential mate’s life cycle and see how they join up as a parallel or merged journey. Some matches are excellent in character but challenging in timing. This is not necessarily a deal-breaker but it will certainly give you valuable information to better understand why you may not be clicking as you expected. For example, one person in a cycle of beginning, matched with another in a cycle of ending will have a difficult time and not know why unless they consult their personal Numerology calendar. 2) Some numbers are like orange traffic lights. They flash “caution”. They may not necessarily mark the end of a relationship but they may signal areas of extra attention. For example, when one has a 13 in their birth date, there could be a tendency to over-react or to not listen carefully. While the lesson of the power of one’s word is being learned by one person, the other may take things very personally, and then misunderstandings burn you out. If you know what to look for, you can understand and either avoid the problem / person or be patient with their process. 3) Anyone can be compatible with anyone, but why not find a good match from the start. A good Yogic Numerologist can be a good matchmaker, if they follow the system and not their own opinion. The process is not as easy as 1-2-3. But when you learn the system properly, you can see the patterns and potential, the ups and downs, and advise a person in advance. For example, if your mate is born on the 8th, do you know that you must acknowledge this person every time they appear? They don’t need flattery, just, “Hello”. But if you are born on the 9th, the less said the better. Each communication style is unique. This is called the “twelve languages of men and women”. 3. Are there types of men according to the number we got from the match? Which types are those? 1) There are only two kinds of men, and they both are part of each man. Every man is big and small, a king and a baby, all in the same person. A man is on one week, off another. He is big in one moment and small in another. He does not do both at the same time, as he is linear. Whereas, as every woman knows, women are multi-faceted and can (and always do) more than one thing at the same time. When you understand this difference you can save a lot of time and trouble and communicate more efficiently. 2) When you add up the full birthdate and reduce the number by adding the digits until they reach a number from 1-11, you can find the true nature of a man, and his capacity for change. For example, a man born on May 20, 1980 = 5 (May)+ 20 + 1980 = 2005 (2+0+0+5) = 25 (2+5) = 7. Seven men can be uplifting, analytical and patient. They can handle being alone, but that can be misunderstood by someone who hates being alone and thinks their man is just being aloof. No, they are secure. If you don’t give them some space, they will create it and then you may feel rejected. 4. How is this related to the Yoga we practice in a gym? YOGI REPLIES: The purpose of Yoga is the enlightenment of the Self. YogicNumerology provides analysis and techniques to accomplish this. It is also a very practical tool for self-governance, communication, counseling, healing, and worldview. The Yoga exercises involving body posture, hand positions, breathing techniques and lifestyle are derived from ancient and proven sciences that were practised by entire communities and then kept secret in a heirarchy of masters. Fortunately those days of secretive teachers are over and the originalpractice is back as both a modern form of fitness and recreation and as a complimentary / alternative form of medicine. Yogic Numerology is the original Yoga as it was used to diagnose and prescribe, assess and solve problems of all kinds. 5. In which areas can we apply it and share an example? YOGI REPLIES: Yogic Numerology provides insight, strategy counsel, and healing. It is part of the holistic tool kit that every person should have and use for love, life and business. All of us who have devoted our time and energy to worthwhile causes know the satisfaction that Einstein wrote about. It’s heart-warming. It’s validating. And in many ways, it’s addictive! There are so many good causes that it would be impossible to contribute to every one. When you find one or two that really speak to you, that you can really get behind, then go for it! Get involved, and be of service.